The Open Championship returns to Muirfield this week for the first time in eleven years. Back in 2002, Tiger Woods was dominating, having won the first two majors of the year at Augusta, and the U.S. Open at Bethpage Black, so he was in prime position to claim the third major of the year before heading to Hazeltine for the PGA Championship in an attempt to win the grand slam. He had put himself in good position too, sitting only two shots of the lead held by five players going into the weekend. Then, disaster struck. At the Open, weather can play a massive role in determining the outcome of the event, and that’s exactly what happened in Saturday’s third round. Woods and his playing partner Mark O’Meara teed off right when Mother Nature decided to flex her muscle, pounding Muirfield with heavy rain and punishing wind. A course like Muirfield is tough enough as it is, but anyone who teed off in that window was absolutely screwed. 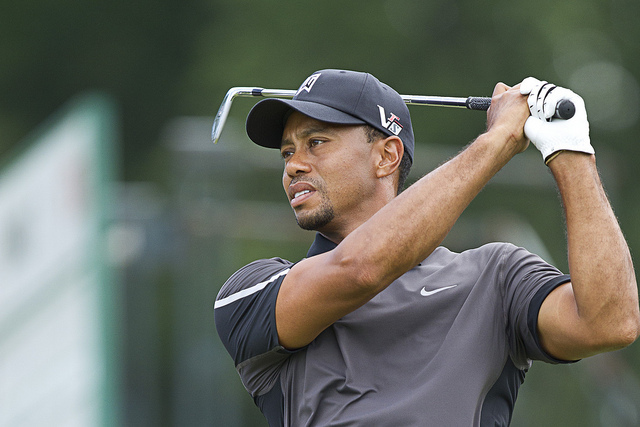 Woods would go on to shoot an 81, still his highest round as a professional to date. To his credit, he did come back and fire a 65 in better conditions on Sunday, ending up in a tie for 28th. The video embedded below shows exactly how bad it was that day at Muirfield. Check it out.